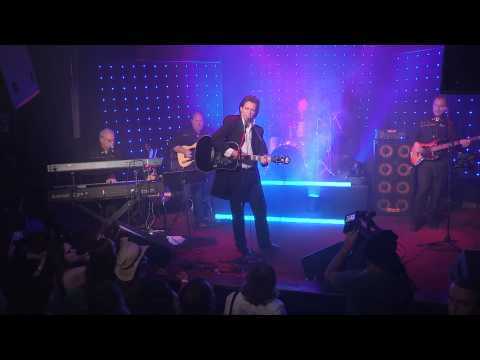 Philip Bauer has been called the "absolute best” Johnny Cash tribute artist. Taking his audience on an entertaining and historic trip through the life and career of "the man in black," Bauer sings the hits and exhibits the stage charisma and mannerisms that made Johnny Cash a super star legend. That legend continues to live on through Bauer. Bauer continues another successful year of touring that included sold out shows in 16 cities in Australia and an invitation to return in 2015 for a fifth five-week tour there. Bauer, who is based in Oklahoma City, has toured extensively throughout the United States, Canada and Mexico, selling out most of the venues he has played. That sentiment is echoed by W. S. Holland who was Johnny Cash’s only drummer. "Philip Bauer represents Johnny Cash better than anyone else I have seen,” Holland stated. “He has the voice, the look and the stage mannerisms of Johnny Cash. It’s amazing.” Dave Roe, who was Johnny Cash's bass guitarist feels the same. “He’s so close it’s kind of spooky,” Roe remarked. Both Roe and Holland have agreed to work select dates with Bauer in the future which is the highest compliment he can be paid. There is simply no way to describe Bauer and his performance except "unbelievable." From the signature greeting of “Hello, I’m Johnny Cash” to the final note, you will find the audience mesmerized. The show is truly a historic and entertaining journey for young and old alike.